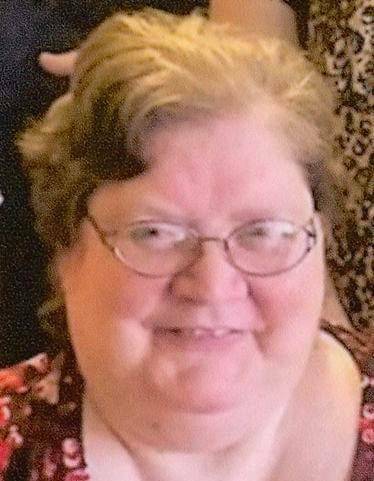 Marlene A. Wisda, 66, of Defiance, passed away Sunday, March 17, 2019, at the Country Inn, Paulding. She was born in Defiance, on Aug. 1, 1952. She was the daughter of the late Frank and Leona M. (Hoeffel) Wisda. Marlene was a 1970 graduate of Defiance High School. She had worked at Kmart and Sears. She was a lifelong and an active member of St. John Catholic Church. Surviving are her son, Jonas (Sarah) Wisda of Bryan; sisters, Janice Miller of Paulding, Firma Koester of Bowling Green, Mary (Walt) Kepler of Bryan; brothers, Ed (Judy) Wisda of Defiance, Bernard Wisda of Defiance, David Wisda of Defiance. She is also survived by two granddaughters, Alexandra and Brianna, and many nieces and nephews. She was preceded in death by her parents. A funeral mass will be celebrated 2 p.m. Thursday, March 21, at St. John Catholic Church, 510 Jackson Ave., Defiance, with Father Eric Mueller officiating. Visitation is at the church from 12-2 p.m. Thursday, prior to the mass. In lieu of flowers, donations are suggested to hospice or the donor’s choice. The Lawson-Roessner Funeral Home is entrusted with Marlene’s arrangements. Condolences may be shared at www.lawsonroessner.com. Be the first to comment on "Marlene Wisda (1952-2019)"